What if Star Trek's crew members worked in an IT department? What if Star Trek’s crew members worked in an IT department? 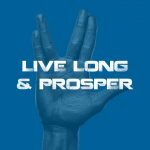 Half a century of Star Trek legacy is something that needs to be properly celebrated. We thought the best way was to assign the members of the first USS Enterprise crew with everyday IT department tasks, and here’s in which roles they fit the best. Today is one of the most important dates in every geek’s calendar – it’s the official Star Trek Day. And this year it is even more special than usual – it’s Star Trek’s 50th anniversary. To mark the first broadcast of this iconic TV show and movie series, we are remembering the original USS Enterprise crew and trying to picture them as members of your typical IT department. Captain James T. Kirk is an exceptional Star Fleet officer, occasionally hot-headed and willing to go “where no man has gone before” without thinking too much about the consequences. He might not be the perfect CTO for our organization, but would most certainly be among the boldest ones, always willing to try new technologies and solutions, and if something goes wrong he’d deal with the later, with the help of his loyal crew of course. First Officer Spock, and also Science Officer on the ship, is troubled by his mixed Vulcan-Human heritage and is mostly governed by logic. This is why he is Kirk’s right-hand man, and it should be the same in the depths of the IT department. There he would take up the role of Systems Analyst, to apply his logical thinking on the most complex problems that come the IT department’s way. USS Enterprise’s Chief Engineer is Montgomery Scott AKA Scotty. Although he can jump in to command the entire ship, he is at his best when engines and other systems need fixing. Scotty knows every trick in the book, and several more, especially when it comes to engines. So in our IT department cast, he would most certainly be a Senior System Administrator, that guy who should be running the place but likes that he gets to deal with cables and servers on a regular basis. And nobody can touch any piece of equipment before consulting him. Communications Officer Nyota Uhura utilizes her knowledge of linguistics, cryptography, and philology to resolve everyday challenges. She also frequently helps by translating messages that no one else understands. This is why she would be ideal as IT Support Director, translating the everyday issues between users around the company breaking down computers in the most unusual ways and her IT support experts, always ready to solve yet another case of alien virus infection spread around the company’s network. Helmsman Hikaru Sulu is an unusual character, especially for someone living in the 23rd century. Dabbling with gymnastics, botany, fencing and ancient weaponry, he must feel at least a bit out of place while traveling at warp speed. His weirdness is something that will surely help him in the role of Software Engineer, where he would have no trouble becoming familiar with other pieces of ancient times – programming languages he would have to use while developing different systems our organization needs. Leonard McCoy is Chief Medical Officer aboard the Enterprise. A very gifted surgeon, not one to shy away from giving his advice no matter if anyone asked for it, and somewhat suspicious of technology, although he regularly uses it. 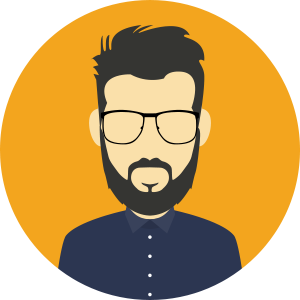 In our IT organization we would love to have him take the position of a Business Analyst, so he can establish a perfect balance between the things IT geeks would like to do, and those that are really needed by the company. Navigator Pavel Checkov, although the youngest member of the ship’s crew, relatively quickly moved up and became Chief Tactical Officer and Chief of Security. That makes him a perfect candidate to show his enthusiasm while fulfilling the needs of two roles, both of Network Engineer and Information Security Engineer. We are extremely confident that his fast learning capabilities will help him succeed at both of these roles, and that our IT organization would thrive with him in these positions. We are sure you will find many flaws in the roles we thought would suit USS Enterprise crew, so please share with us your thoughts in the comments below and help us find the best way to use their exceptional skills in our ideal IT department. And may you all live long and prosper! Marko is Earned Media Specialist at GFI Software, where he deals with social media challenges and manages influencer relations. Sometimes he finds a bit of time to write, and regularly enjoys long bicycle rides. Yeah!! I’m Scotty! I would have picked him anyway. Always my hero.